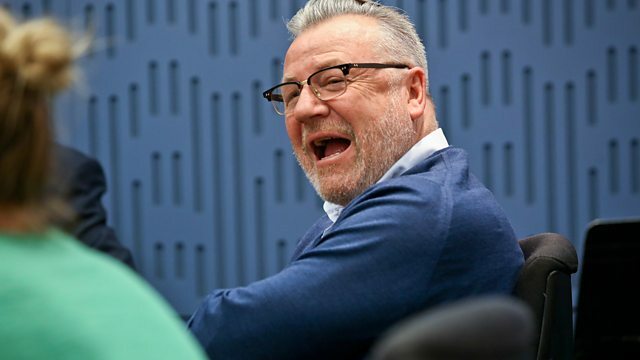 Clive Anderson and Sara Cox are joined by Ray Winstone, Emma Donoghue, Adrian Edmondson and Stephen Unwin for an eclectic mix of conversation, music and comedy. With music from Bill Callahan and Boo Hewerdine. ‘Jawbone’ is in cinemas from Friday 12th May. ‘Room’ is at Theatre Royal Stratford East, London until Saturday 3rd June. ‘Tilly and the Time Machine’ is published by Puffin and available now. ‘All Our Children’ is at Jermyn Street Theatre, London until Saturday 3rd June. Bill is playing at Hoxton Hall Youth Arts on Thursday 4th, Friday 5th, Saturday 6th and Sunday 7th May. He's back in the UK to headline End of The Road Festival on Sunday 3rd September. ‘Red Apple Falls’ is available now on Drag City. ‘Swimming In Mercury’ is available now on Reveal Records. Boo is touring until 29th September. He’s playing at Kitchen Garden Café, Birmingham on 11th, The Music Room, Liverpool on 12th and The Cluny 2, Newcastle Upon Tyne on 17th May. Check Boo's website for further dates.